When it comes to dogs, there is a lot of media hype about dangerous dog breeds. In reality, any dog will bite if provoked; however, there are certain dog breeds that are considered more dangerous than others and may not be suitable for children to be around. Right or wrong, some dog breeds have been labeled as violent or hostile and the cause of many dog bites or dog attacks. Because of their size and build, when these dog breeds attack, they have the potential to cause more damage, especially to children. This is really what is meant by “dangerous” dogs. Pit Bulls and Rottweilers are considered the two deadliest dog breeds. Pit Bulls tend to weigh around 55 to 65 lbs. Improper training can sometimes make them aggressive and if not trained right, they may attack. They are perceived to be very aggressive and they have a locking jaw that when they bite on something they refuse to release it easily. 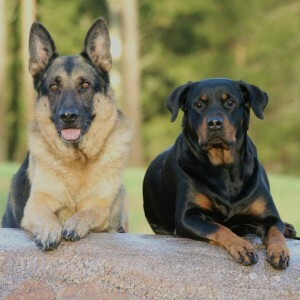 Rottweilers average 100 to 130 lbs. Rottweilers are very territorial and are typically used as a guard dog. Again, these dogs can be very aggressive without proper training. Many consider Rottweilers to be unsuitable family pets. Huskies weigh around 60 to 70 lbs. Huskies are energetic and very loyal to their owners; however, improper training, poor socialization and bad social experiences can make a Husky aggressive and not suitable for children. German Shepherds are typically around 100 lbs. These intelligent dogs are extremely powerful. They are loyal but if mistreated they can be dangerous; when properly trained they make excellent companions. 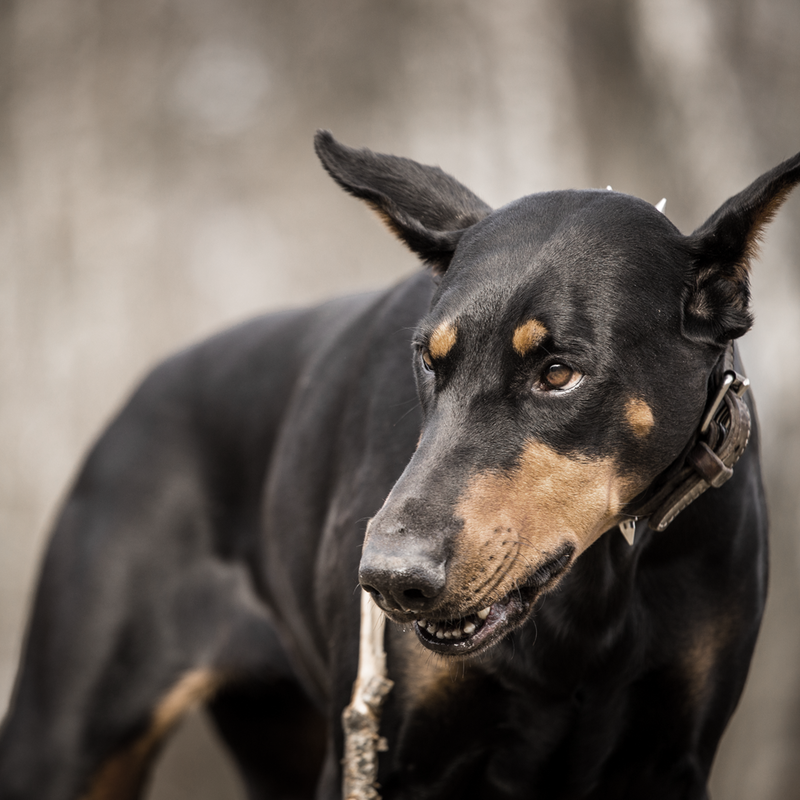 Doberman Pinschers average 65 to 90 lbs. Known as guard dogs, they typically attack when their people are in danger. They can sense when danger is lurking and will act accordingly. They still must be trained properly or a Doberman will assume he is the leader, not you. Wolf Hybrids, dogs that are a cross of a wolf and dog, can be extremely deadly. Oftentimes, they can be mistaken for a Husky or Malamute. This isn’t a comprehensive list; caution should be exercised around any dog, especially when children are present. Training. Proper training should enable dogs to understand basic commands and have a sense of right and wrong. Socialization. The more comfortable a dog is around strangers, the less chance he will become aggressive and bite. Best advice is that you should never agree to take care of a friend or relative’s dog that is considered a dangerous dog breed when there are children in the house or when children may be visiting. If you come across a problem dog, whether it is a dangerous breed or not, you should always report it to your city or county animal control office. Dog bite incidents can be extremely traumatic for anyone, especially a young child. If your child has suffered from a dog attack, our dog bite lawyers in Kansas City can help you hold the dog’s owner liable for injuries suffered. Contact us for a free, no-obligation case evaluation.